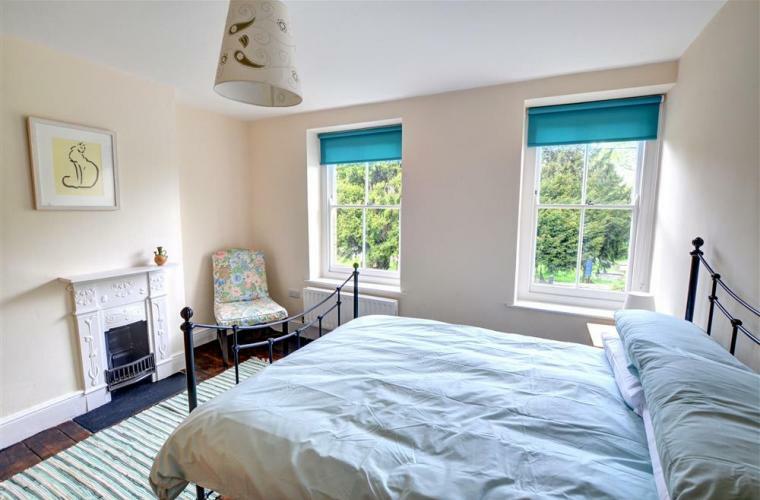 This charming, recently renovated, mid-terraced Victorian house (with green front door) is conveniently located close to the River Wye and within walking distance of all the facilities of the popular book-lovers' town of Hay-on-Wye, on the Welsh-Herefordshire border. The Wye Valley Walk and Offa's Dyke Path both run through the town, which is situated on the northern edge of the Brecon Beacons National Park, at the foot of the Black Mountains. 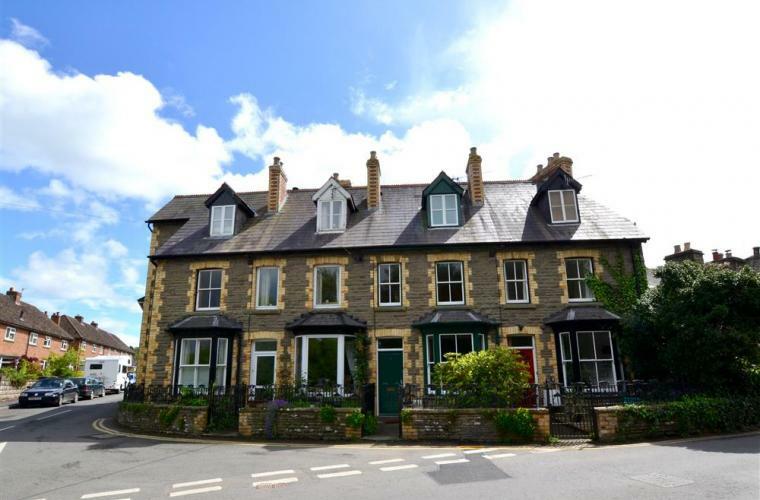 Nearby towns and attractions include Llangorse Lake, 15 miles, Brecon, 16 miles, Builth Wells, 19 miles, and it is about 6.5 miles to the head of the picturesque Golden Valley. 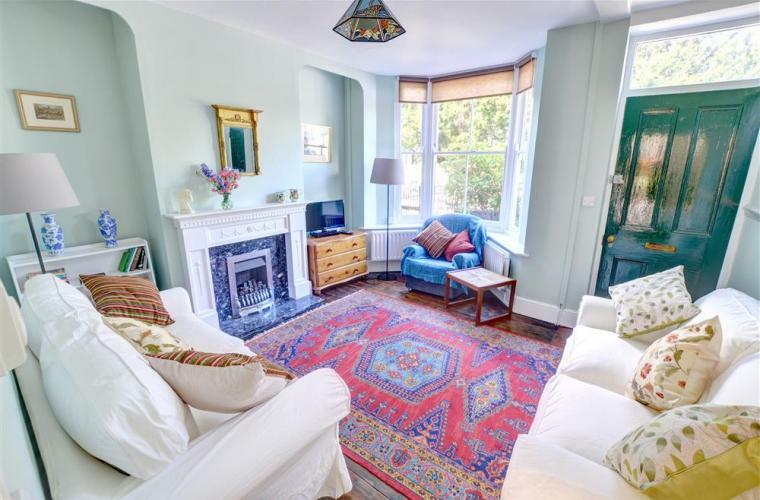 This lovely Victorian house has been tastefully refurbished to accommodate 5 people in comfort. 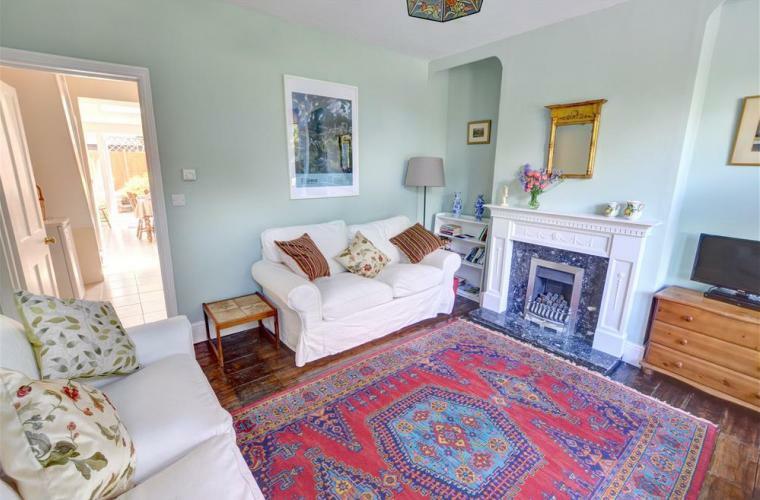 On the ground floor is a comfortable sitting room with two sofas and an easy chair, rug over original floorboards, and a living flame gas fire. The kitchen diner includes a gas hob, dishwasher, washing machine and fridge, as well as a dining table and six chairs. 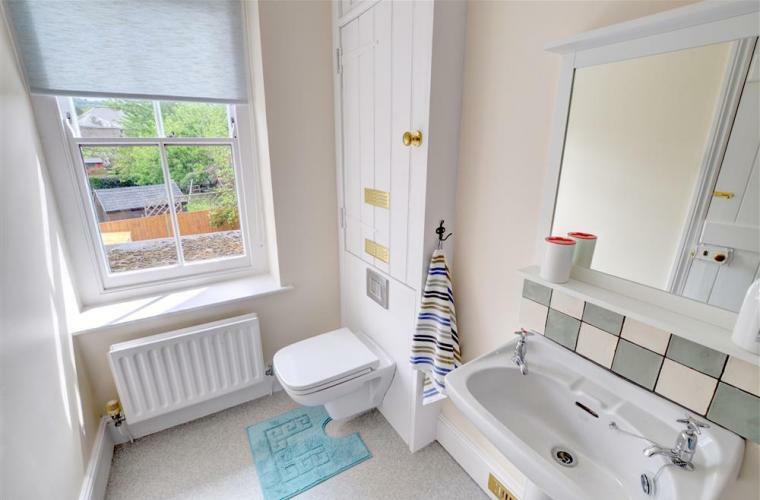 On the first floor is a double bedroom and the family bathroom, with shower over the bath, WC and basin, and a second staircase (both staircases are quite steep) leads up to a spacious attic bedroom with three single beds. 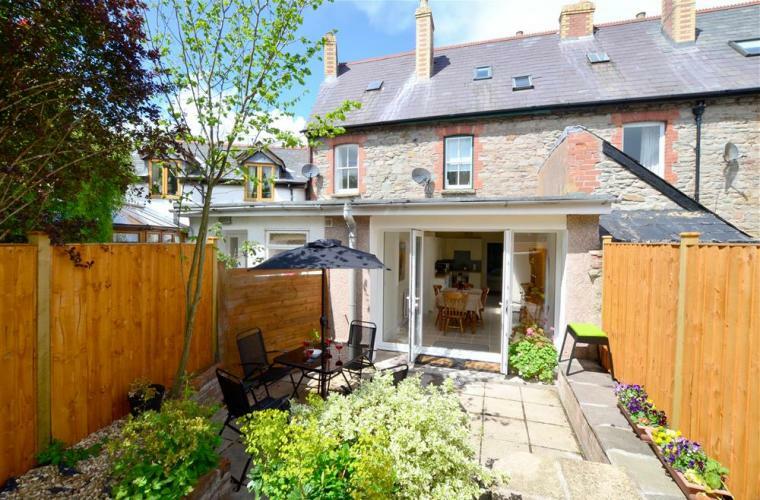 To the rear of the property is an enclosed courtyard with patio furniture and barbecue; one dog is welcome at the property, and there are footpaths and riverside walks close by. Parking is on street and in public car parks nearby, but it is possible to unload and load up immediately outside. Hay-on-Wye is a popular and attractive town, with historic castle ruins, bookshops and walks, including Offa's Dyke and the Wye Valley Walk; there are plenty of pubs, restaurants and other eating places within walking distance, as well as a range of local shops and a supermarket, swimming pool and library. Golf, fishing and horse riding in the surrounding area, and the many walks and attractions of the Brecon Beacons National Park are within easy reach. Saturday or by special arrangement.